INCA's Plastic Crab Cage is suitable for mud crab fattening. It is an ideal cage for Scylla Serrata or the common green mud crab found in estuaries Asian Countries. Marketable sizes of mud crabs range from 250 to 500 grams. Made of virgin food grade polyethylene (P.E.) 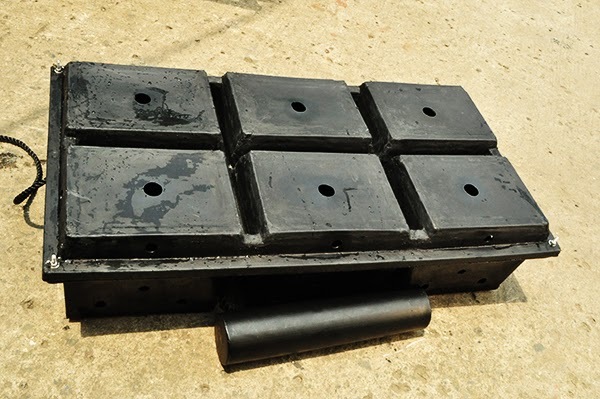 resin, compounded with Ultraviolet Stabilizers to protect it from tropical weathering, every Inca crab cage has six (6) perforated compartments and can be deployed in rows floating about while partially submerged along the water surface. The color of the crab cage is black to simulate darkness in and to simulate the nocturnal feeding habit of the crab thus increasing the growth rate. 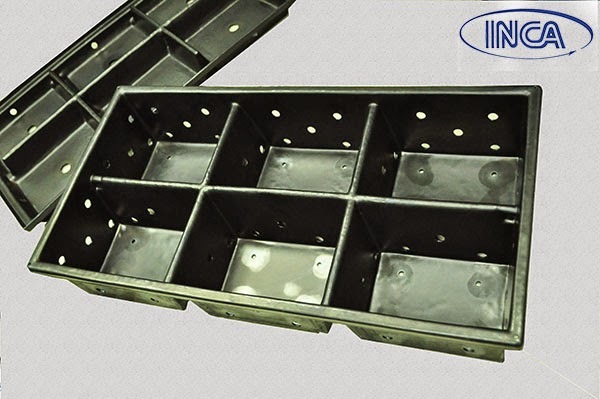 The size of the crab cage is ideal for a person to singly perform the stocking, daily feeding and monitoring and finally harvesting without difficulty. 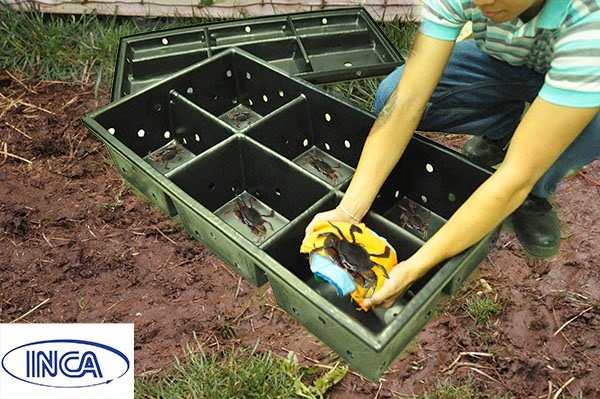 The crab cage is lightweight, can easily be transported or transferred and it is better than the traditional Aquasilv pond. A crab cage farm area of only 25 square meters with 36 units of plastic crab cages and a 12 crabs per square meter stocking density for mud will yield 216 fattened crab results in high recovery rate of 99% due to absence of cannibalism as compared to the 40% yield of Aquasilv pond farms. Cage Tare Weight: 6 Kg. Accessories: SS bolts & Nuts for fastening, PP Ropes for floatation and lining. What is the cost per box and what is the cost of shipping them to Fiji??? Good Day Sir, How much would it cost for each cage? 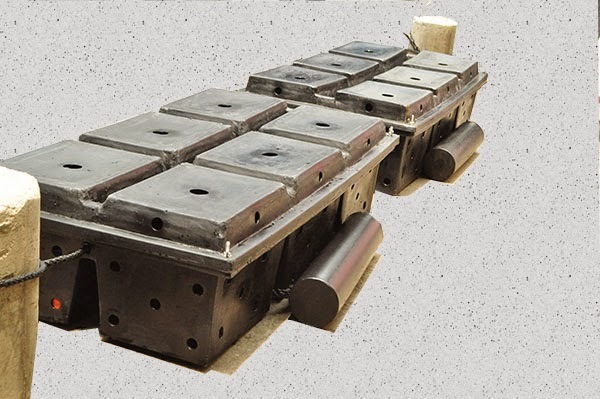 I'm interested on Mud Culture Business, Please reply this is my email add. kalifgenota1925@gmail.com, Thank you . Hello! I'm interested in Crab fattening business and would like to ask how much do you offer for a minimum purchase as a start up business. You can email me at guevarakristine85@gmail.com. thank you. Hello..May I know the price per set? How many is the minimum order? Good day! Sir , What's the cost of 1 unit? How many days it will be delivered? Please email me in this add: JesThonAcer@yahoo.com. Thank you. Hoping your response. I need it urgently. How much for a 1 set? Hi there is still available? ?